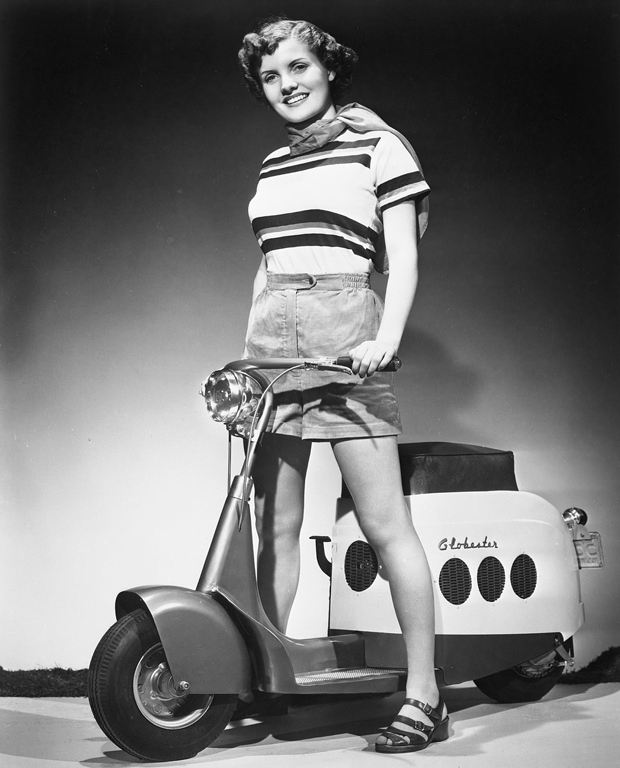 I can’t find out much about Globester scooters on the web, but the one thing that stand out from these pics is that they are so ahead of their time… Found via the excellent Retronaut site, (one of the non-scootering blogs that’s on my regular reading list), they date from 1946… I think that just relates to the top pic though. I think that’s pretty amazing, I would have guessed the fifties at the earliest. 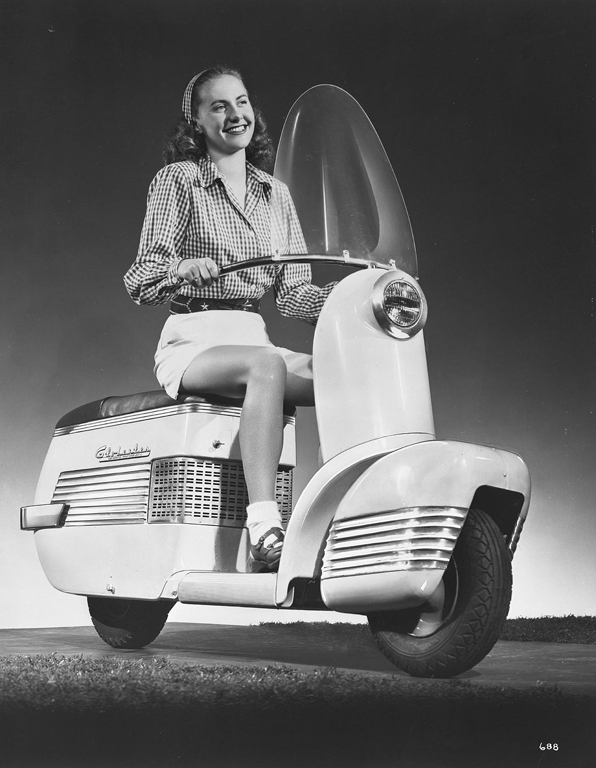 When you think that Innocenti’s Model A, on the face of it a much less sophisticated design, dates from 1947, you get the impression that American scooters had a definite head start on those from Italy! 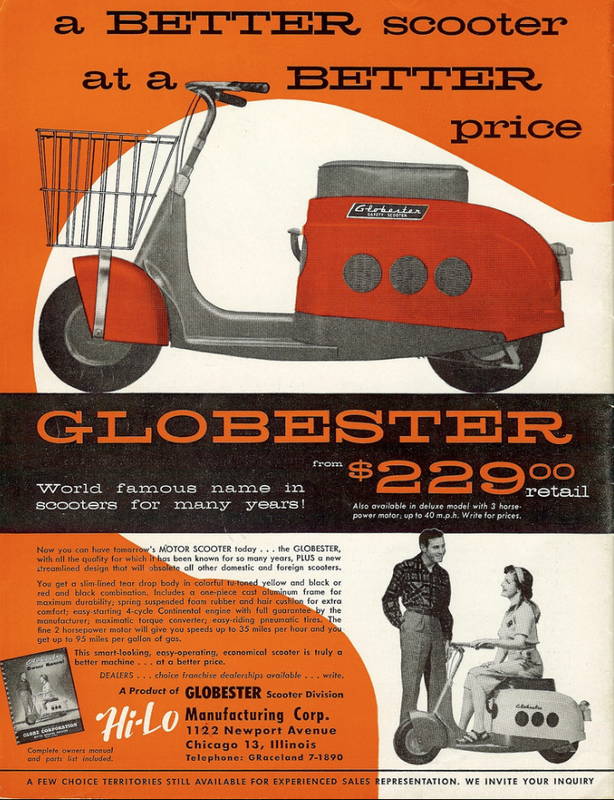 The ad above does come from the nifty fifties, and the one thing that strikes me from that is that is the price… the Globester doesn’t strike me as a cheap scooter! 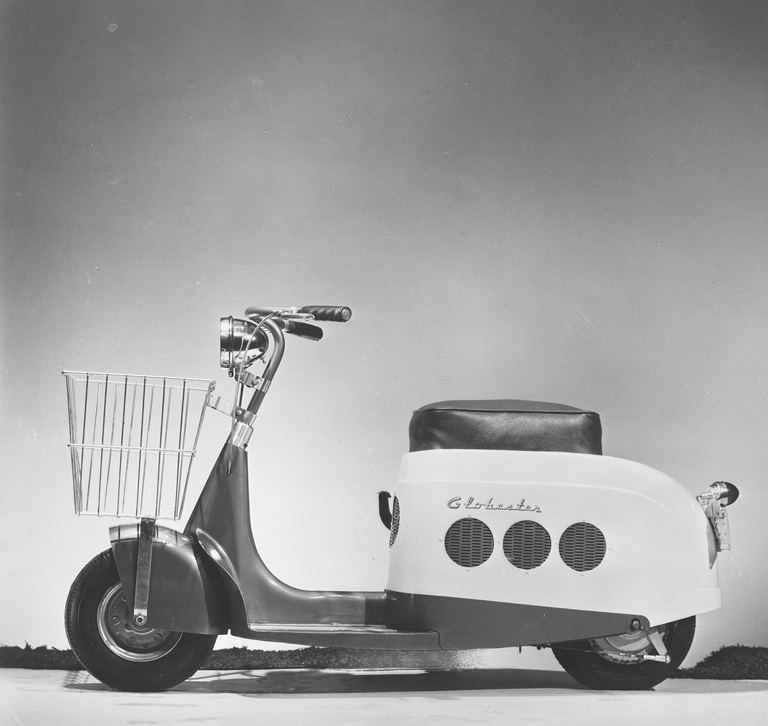 I don’t know why the Globester wasn’t a bigger success, maybe it comes down to engineering, reliability, price or fashion, but it’s certainly not as well known (this side of the pond at least) as that other iconic US brand, The Cushman. As an aside, did you know you can buy a brand new Cushman today? Here’s the link. The other Cushman link on the blog worth checking out, if you like this kind of thing, is a beautiful custom job, check it out here. This entry was posted in Not a Lambretta, Scooters and tagged 1940's, 1950s, Ad, Advertising, Chicago, cushman, Glamour, Globester, oddball, Retronaut, Sci-Fi, US, USA by crocodilejock. Bookmark the permalink. Awesome! Wish I could own one!